This entry was posted in chauffeur drive tours of Ireland, Discover Ireland, event management in Ireland, Family gatherings & reunions in Ireland, Holidays In Ireland, Ireland in September, luxury stays in Ireland, luxury tours of Ireland, luxury vacations in Ireland, Occasions & events in Ireland, PRIVATE TOURS of IRELAND, St. Patrick's Day in Ireland, Tailor made tours of Ireland, theme events in Ireland, tours of Ireland, vacations in Ireland and tagged college tours of Ireland, family gatherings in Ireland, family reunions in Ireland, large & small group tours of Ireland, luxury tours of Ireland, tour the Wild Atlantic Way, tours of Ireland, vacations in Ireland by Mary O'Grady on February 25, 2018 by Mary O'Grady. This entry was posted in chauffeur drive tours of Ireland, Discover Ireland, event management in Ireland, Family gatherings & reunions in Ireland, Ireland in September, luxury tours of Ireland, luxury vacations in Ireland, Occasions & events in Ireland, PRIVATE TOURS of IRELAND, St. Patrick's Day in Ireland, Tailor made tours of Ireland, theme events in Ireland, tours of Ireland, vacations in Ireland and tagged events in Ireland, heritage Ireland, luxury tours of Ireland, planning an event in Ireland, special occasions in Ireland, tours of Ireland with Mary O'Grady, unique tours of Ireland, Vacations in Ireland; chauffeur driven tours of Ireland, Wild Atlantic Way on February 25, 2018 by Mary O'Grady. This entry was posted in chauffeur drive tours of Ireland, Discover Ireland, event management in Ireland, Family gatherings & reunions in Ireland, Holidays In Ireland, Ireland in September, luxury stays in Ireland, luxury tours of Ireland, luxury vacations in Ireland, Occasions & events in Ireland, PRIVATE TOURS of IRELAND, St. Patrick's Day in Ireland, Tailor made tours of Ireland, theme events in Ireland, tours of Ireland, vacations in Ireland and tagged celebrate special occasions in Ireland, chauffeur tours of Ireland, luxury Ireland, Wild Atlantic Way; family gatherings in Ireland on February 21, 2018 by Mary O'Grady. This entry was posted in luxury vacations in Ireland, Occasions & events in Ireland, PRIVATE TOURS of IRELAND, St. Patrick's Day in Ireland, Tailor made tours of Ireland, theme events in Ireland, tours of Ireland, vacations in Ireland and tagged bespoke tours of Ireland, chauffeur tours of Ireland, luxury Ireland, private tours of Ireland, the best of Ireland, the Ring of Kerry, the Wild Atlantic Way, vacations in Ireland on January 8, 2018 by Mary O'Grady. 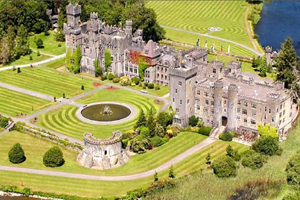 This entry was posted in chauffeur drive tours of Ireland, Discover Ireland, event management in Ireland, Family gatherings & reunions in Ireland, Holidays In Ireland, luxury stays in Ireland, luxury vacations in Ireland, Occasions & events in Ireland, PRIVATE TOURS of IRELAND, St. Patrick's Day in Ireland, Tailor made tours of Ireland, theme events in Ireland, tours of Ireland and tagged events & occasions in Ireland, family reunions in Ireland, Ireland by chauffeur drive, luxury vacations in Ireland, sightseeing tours of Ireland., theme events in Ireland, weddings in Ireland, Wild Atlatic Way on December 9, 2017 by Mary O'Grady.